Washington, D.C. — The International Code Council (ICC) and CSA Group published the CSA B805/ICC 805 Rainwater Harvesting System standard for use in the U.S. and Canada. This new standard addresses the design, materials, installation, and operation of residential and commercial rainwater harvesting systems for potable and non-potable water uses. Approved by both the American National Standards Institute (ANSI) and the Standards Council of Canada (SCC), this standard was developed by an 18-person technical committee made up of an equal number of U.S. and Canadian representatives. The committee consisted of plumbing officials, public health officials, academic researchers, system and product manufacturers, water technology and plumbing engineers, and public safety experts. Modern rainwater systems can supply water for many uses in and around a building. The CSA B805/ICC 805 standard is closely coordinated with the existing building, plumbing, and health codes and links rainwater harvesting systems with building elements like roofing, plumbing, fire suppression, cooling towers, stormwater management and irrigation. The standard also provides tools to establish appropriate water quality based on the cleanliness of the source water and categories of end use. The resource section of the standard provides key information on the development of water safety plans and techniques for sizing systems. For related system components such as storage tanks, disinfectant systems and water pumps, the CSA/ICC standard permits evaluation to existing standards from the American Society of Mechanical Engineers, ASTM International, CSA Group, NSF International and others. “I am excited and proud to be a part of the committee which developed this rainwater harvesting standard. 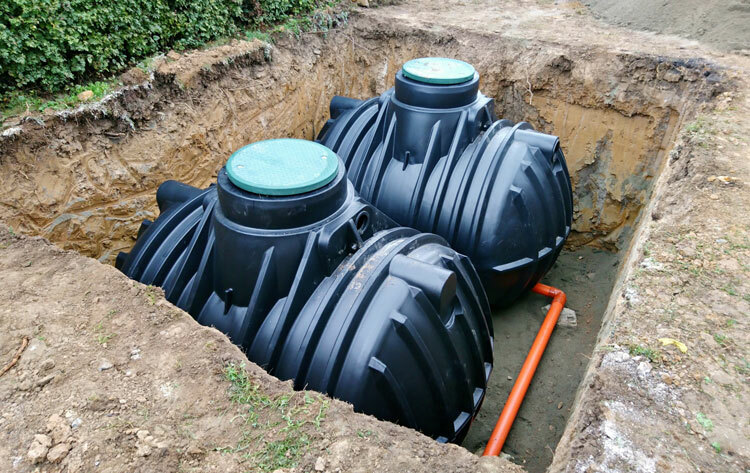 The importance of water conservation has been growing in recent years, and a common method of water conservation has been rainwater harvesting for non-potable reuse. The significance of this standard is to provide guidance and direction to not only the design professional but also the contractor on how to align construction standards for these systems to maintain public safety and health,” said the development committee Co-Chair Philip F. Parisi Jr., P.E., LEED AP. “I am very proud of the committee’s achievement on creating a much needed comprehensive rainwater harvesting standard for residential and commercial application. Behind the standard is a dedicated multi-faceted team, from both sides of the border, who spent countless hours sharing their knowledge, debating and contributing to a shared vision towards resilience and sustainability,” said the committee Co-Chair Penh Tov, P.Eng. The CSA B805/ICC 805 standard is already being used for construction projects, including the expansion of the Vancouver Airport operations building, which involves the collection of runoff from building roofs and for rinse-water use in a car wash facility. For more information and to purchase the new standard, visit https://shop.iccsafe.org/csa-b805-18-icc-805-2018-rainwater-harvesting-systems.html.